Woodpeckers remain one of the most popular families of birds, and they are certainly one of the more unusual. Their legendary ability to excavate holes in wood is well known, and they are uniquely adapted for living in trees - though a few species have become more adapted to ground-dwelling. The family ranges from the tiny piculets of tropical forests to the mighty Imperial Woodpecker of Mexico, sadly now extinct. In between there is a considerable variety of species, all of a roughly similar shape and design, inhabiting forests and woodlands through the world except Australasia and Antarctica. 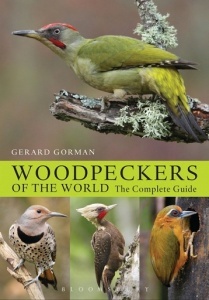 Covering 239 species, this book is the first definitive photographic guide to woodpeckers. Detailed text looks in detail at the biology of the birds, with particular emphasis on field identification, along with voice, habitat, status, racial variation and distribution. The text is accompanied by a series of high-quality photographs – more than 750 images, carefully selected to highlight identification criteria. Each species entry is completed by an accurate colour range map. 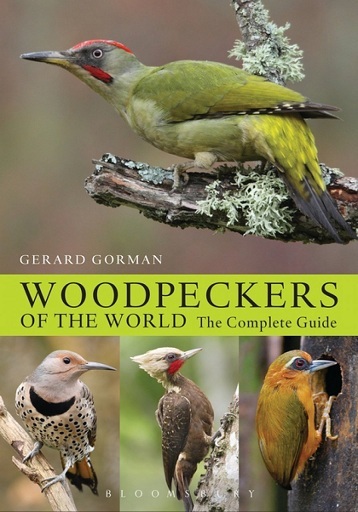 A sister to Owls of the World in the Helm Photographic Guides series, Woodpeckers of the World is an informative, fact-filled and beautifully illustrated guide to a group beloved by all birders.